I understand my hair is big. I understand my hair is curly. 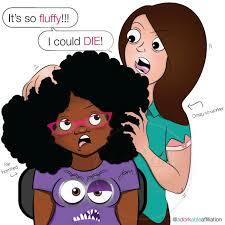 Well guess what... none of the above gives anyone permission to randomly pull, tug, fluff, grab, pat or touch my hair. I am not a pet. I don't care who you think you are...that isn't cool with me!! NOW, there is an exception to the rule! If you ask. I MAY say yes, depending on how I feel, the conversation or the time and place...BUT.. don't expect me to say yes or get upset when I say no. 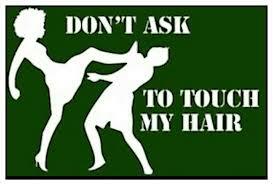 Last time I checked my hair is attached to my scalp. I spend a lot of time maintaining, styling and looking after my hair. I am fed up of people (mostly white) assuming and thinking it is ok to do this. If you like it. A simple compliment with do. 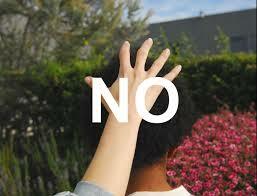 I know there are people who have no problem with people touching their hair, as they feel it educates others. I don't agree. 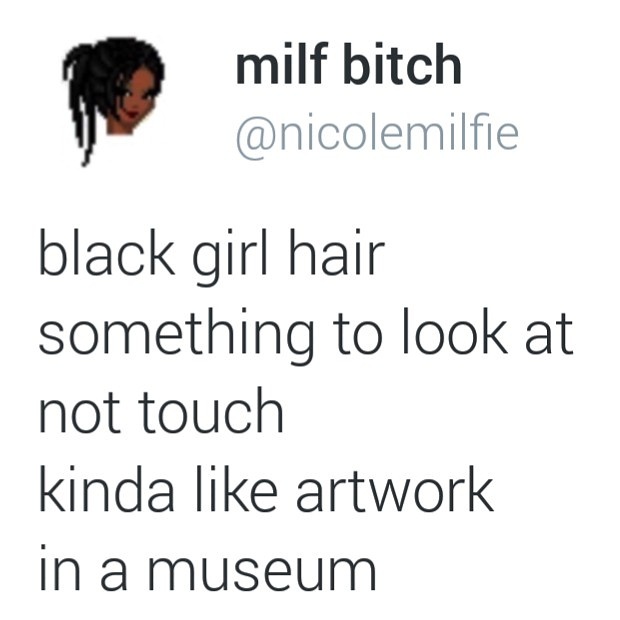 There are many cultures who do not have my hair texture. I have no desire to touch their hair. I went to a club last Friday and the amount of random people just coming over to me and pulling, tugging and fluffing my hair was ridiculous...and it didn't stop there. Went to the wig shop with my aunt yesterday and the men working in there didn't believe my hair was mine and were grabbing at it. This happens at least once a week. No lie. And I am truly fed up of it. Please respect my space. HAHAHA every single line I read I was thinking "Yep....yep....yep...that's happened to me....yep!"